Our advanced full-service production team works year-round to provide a trusted supply of the high-quality corn, soybean, sorghum and alfalfa genetics our customers rely on. 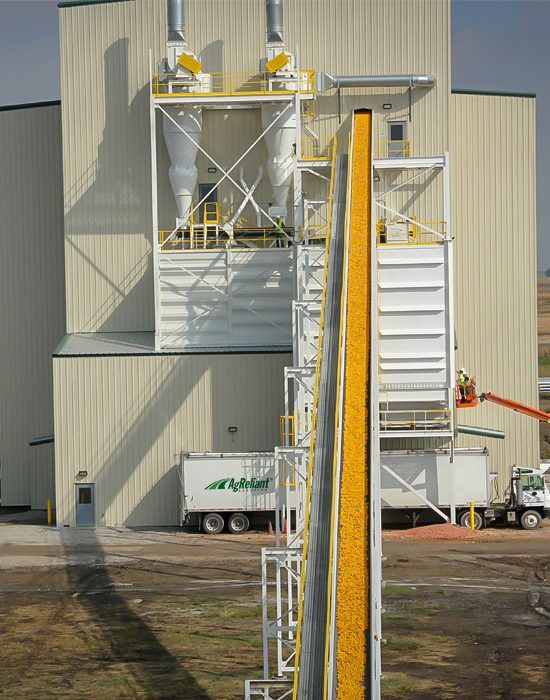 From the time parent seed is planted to when it’s packaged for customers, we use the latest production technology and techniques in seed harvesting, drying, conditioning, treating, and packaging to maximize quality and to ensure we are delivering the highest yield potential in every bag. We continually invest in all of our facilities to maintain and implement the latest and most effective technologies and practices. Our production team works directly with our product brand sales teams to develop data-driven, customer-focused service plans. Here at AgReliant Genetics, we clean, size, treat and package the seed prior to distribution, allowing us to pass that value onto our customers by consistently providing the highest-quality products possible. Growers never stop, and neither do we. We use counter-season production to accelerate the introduction of new genetics and increase the availability of our most competitive products for our customers year-round. AgReliant Genetics is always looking for individuals who take pride in helping farmers grow. We offer many rewarding production-related career paths, including training and advancement options. Visit our Careers page to learn more about working at AgReliant Genetics and to see our current list of opportunities.